According to the Ukrainian Foreign Minister twitter message, January 4, German Foreign Ministers Sigmar Gabriel and Ukraine's Pavlo Klimkin could not visit the dividing line in the Donbas due to weather conditions. 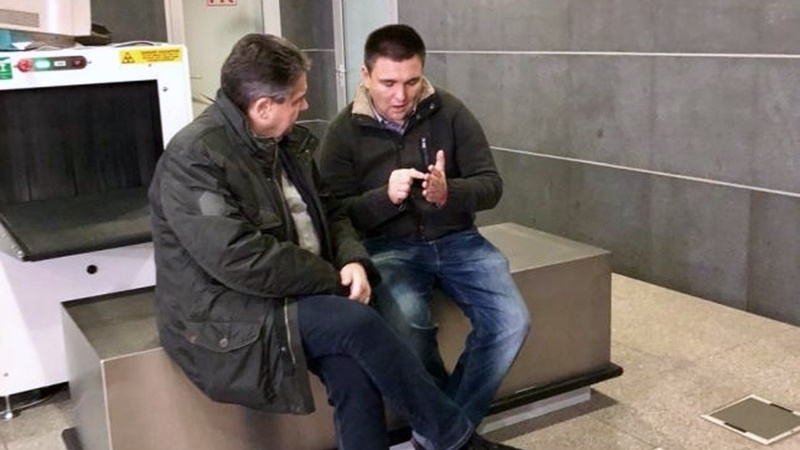 “The weather conditions did not allow us to visit the dividing line, but did not interfere with productive communication with German Foreign Minister Sigmar Gabriel,” Klimkin informed. Klimkin went on saying that they will visit Donbas later this month. Earlier, Klimkin stated that the Russian Federation continued to adhere to the tactics of controlled exacerbation of the situation in the Donbas. More than 60 cases of shelling have been recorded, more than a third of attacks were made from banned weapons over the past few days.